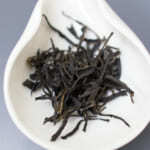 We just released Tsukigase Asamomi Sencha as one of our latest Japanese tea lineups. 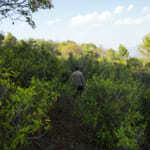 This tea is produced from the complete natural farming garden which no nitrogen fertilizer and no pesticide is used. In Japanese, Asamomi means light rolling. 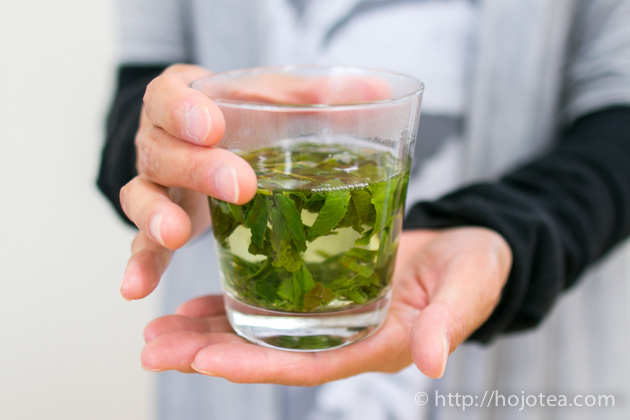 Thanks to the light rolling, this tea can be brewed more times than ordinary Japanese green tea. 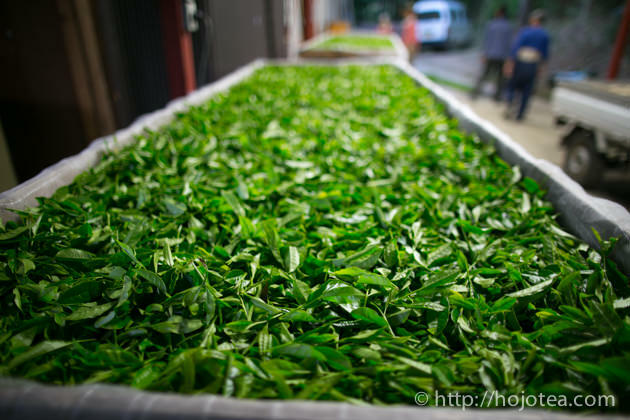 Besides the multi-brewing character, this tea gives distinctive floral scent thanks to the special production method. 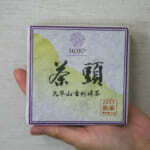 Nowadays, it is undoubtedly that the needle-shape has become the standard of Japanese green tea. 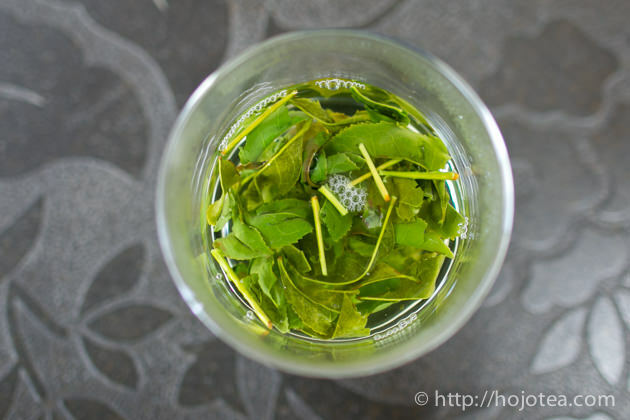 Everyone seems to take the needle shape of Japanese green tea for granted. Every Japanese tea manufacturers try very hard always roll tea leaves into needle shape. In fact, the shape of tea is not related to the taste or flavor of tea. Ironically, the intensive rolling to make tea into the needle shape resulted in tea becomes less lasting in brewing. When brewing Japanese green tea, the 1st brewing tends to be very thick, yet the subsequent brewing often becomes very light. 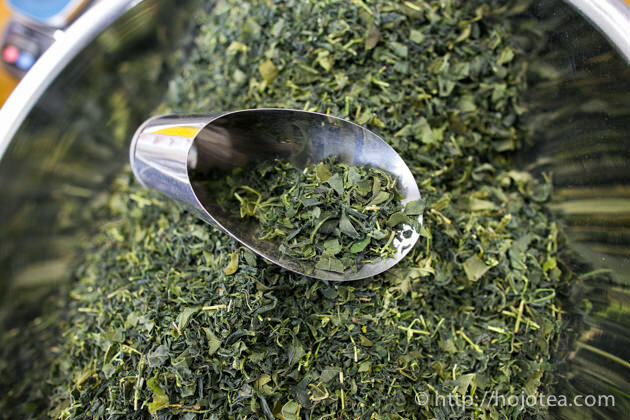 Due to very intensive rolling, the cell of tea leaf was effectively mercerized and the tea constituents were extracted faster. 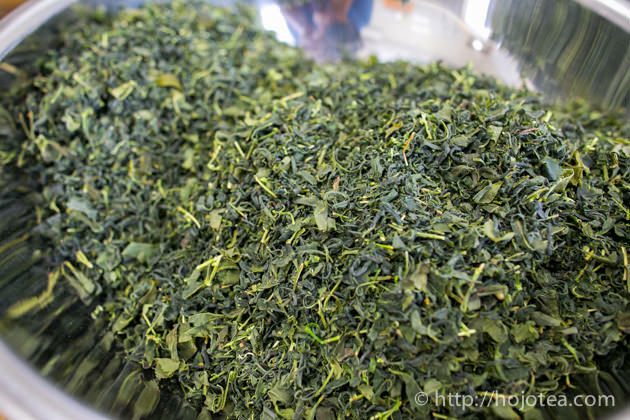 In other words, we can make Japanese green tea lasts more brewing if we minimize the rolling and swiftly dry the tealeaf right after the steaming process. 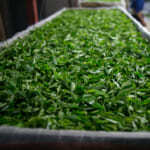 In fact, these processes are not only rolling the tea leaves but also supplying hot air to dry tea leaves. 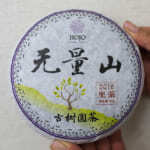 The temperature of hot air often reaches even up to 100 degree C. As a result, the fresh tealeaf flavor somehow lost during the intensive rolling process. We drew sample from the each process and taste to understand the changes of flavor. Interestingly, we found that the sample with less rolling gives very refreshing flavor like fresh flower bouquet, while the tea after more rolling gives typical flavor like steamed rice. 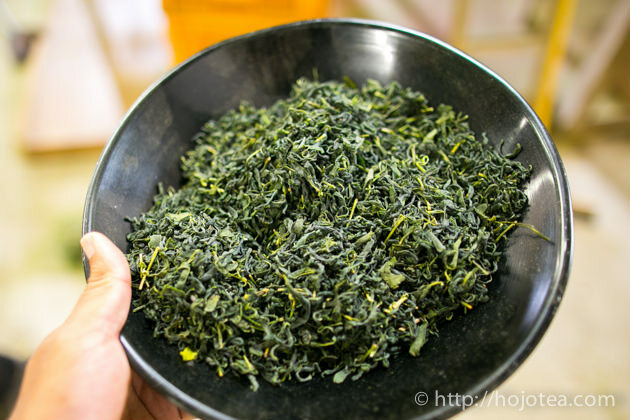 It seems that this typical steamed rice flavor of Sencha is composed by the heat applied during rolling process. 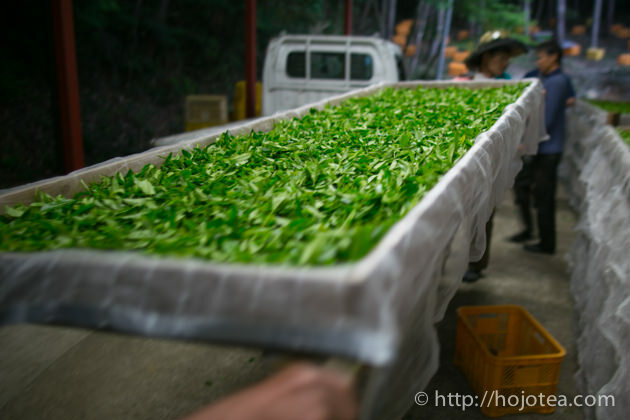 With this finding, in order to retain as much of the fresh floral note of the green tealeaf, we drastically shorten the rolling process so as to minimize the heat damages to the flavor of the fresh tealeaf. By the way, the fresh tealeaf scent has its drawback. 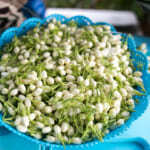 The fresh tealeaf from the natural farming garden without fertilizer gives floral scent. On the other hand, the fresh tealeaf from the fertilized garden gives very green grassy scent that is rather a less attractive flavor. Since the majority of tea garden in Japan is grown with fertilizers, the intensive rolling process and heating was rather promoted by tea manufacturers as it changes the greenish scent into the flavor like steamed rice. Since we have carefully selected the garden that uses no fertilizer at all, we wish to rather enhance the floral scent of the fresh tealeaf. 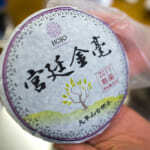 Therefore, we use very short steaming time in order to preserve the original flavor of fresh tealeaf. 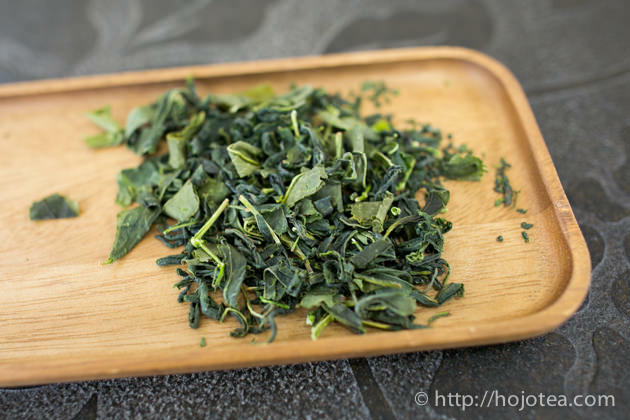 The tealeaf of Tsukigase Asamomi Sencha is quite coarse. It is suitable to brew it directly in a glass. For this drinking style, 2g in 200ml of hot water is ideal. 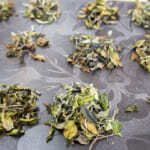 After the fresh tea leaves were collected, the tea leaves were withered in the forest for 12 hours in order to further enhance the floral scent. 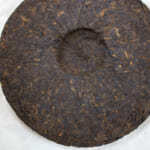 However, if the withering is too long, it makes tea into white or oolong tea character. So we requested our manufacturer to carefully determine the precise timing of withering so that it is just nice to enhance the floral scent of this Japanese green tea. Tsukigase Asamomi Sencha contains very less Umami. Umami is the substance composed by nitrogen derived from fertilizer. Because of these tea trees were grown without nitrogen fertilizer, this Sencha is rather rich in poly phenols and minerals. 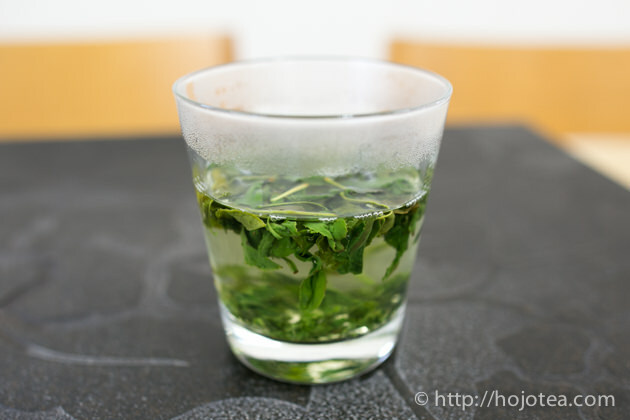 Considering this characteristic, the flavor of Tsukigase Asamomi Sencha is more appealing and richer if tea is brewed with boiling hot water for a shorter time. For the first brewing, I use boiling water and brew for 10-20 seconds. For the second brewing and subsequent brewing, I usually keep brewing time in less than a few seconds. This tea is also suitable for cold water brewing. For making cold water brewed tea, I suggest 5g of tea leaf soaked in 1 liter of water. You can prepare it in a glass bottle and leave it in a refrigerator for about 4-5 hours. If you prefer a lighter taste, please add in some water to dilute it. It is advisable to use the water cooled down from the boiling water. It gives more flavors.